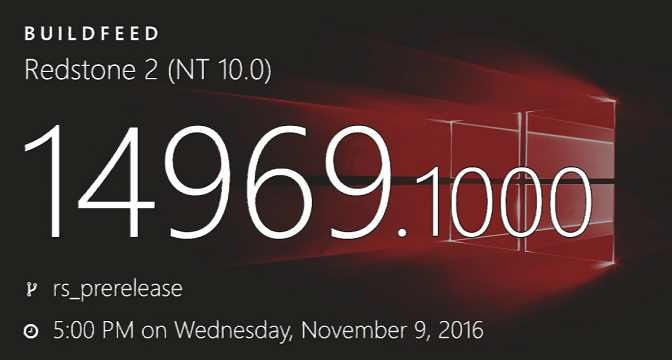 Windows 10 Creators Update(Redstone 2) PC build 14969.1000 and mobile build 10.0.14969.1000 are now under testing. The builds were compiled on November 9, 2016. Soon Microsoft will also release new slow ring insider build.